I am a member of the public. I have been prescribed Emerade. Emerade is an adrenaline auto-injector used for the emergency treatment of severe acute allergic reactions (anaphylaxis) to foods, medicines, insect stings, bites or other allergens. It can also be used for exercise induced anaphylaxis. 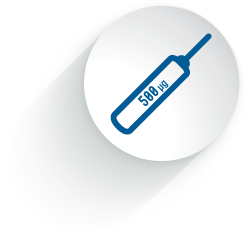 Emerade is the only AAI available in the UK with a 500 mcg dose fitted with a 25 mm needle, increasing the likelihood of an IM injection1 in more patients. It has a simple and intuitive design. Bausch + Lomb offer a number of free patient education resources including free brochures, trainer pens and an expiry date reminder service which is also available to healthcare professionals so that you can ensure the Emerade AAI's in your emergency kit bags are always in date. Download the app now by visiting the App Store or Google Play and search for “Emerade”. Anaphylaxis is a stressful, distressing situation. The Emerade AAI's simple 3 step injection technique is designed to be as intuitive as possible in the most challenging of circumstances. Emerade is the only AAI with a 500 mcg dose. The indicated adrenaline dose for the treatment of anaphylaxis is 5-10mcg/kg. Emerade's 25mm needle is the longest needle of any AAI. 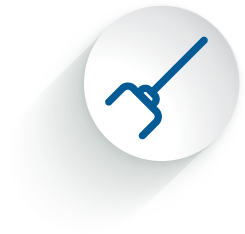 Emerade’s longer needle increases the likelihood of patients receiving an IM injection1.